As promised, the City has brought back Bangor's skate park. 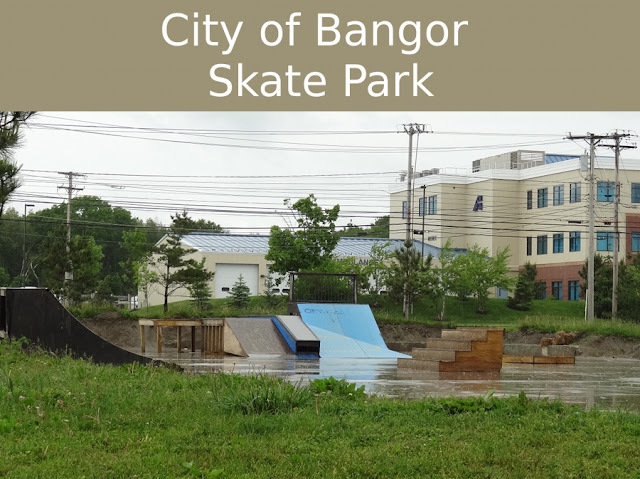 Previously located at Bass Park, the skate park is now located between Union Street and Maine Ave near the Bangor recycling center. The City was stoked when they realized that by digging down a few feet, they could re-use a concrete slab that remained from an old Dow Air Force Base building. The old slab now forms the base of the park while gnarly edges decorate the perimeter where the hole was dug. The facility can be accessed by car from Maine Ave near "What's the Scoop? Cafe."